Yes, we have talked about 4G LTE at length. We were the first ones to tell you that 4G is being launched in India. But that hardly means that we wouldn’t examine both sides of the coin. First up, what is 4G LTE? Well, simply put it is the next generation of Internet. It is one that followed 3G. It promises download speeds up to 100 Mbps (although currently just 40 Mbps is on offer). When it was released in the U.S., it generated a tremendous response. But we Indians have already developed reservations before delving into 4G. And why not? It is our hard-earned money, isn’t it? 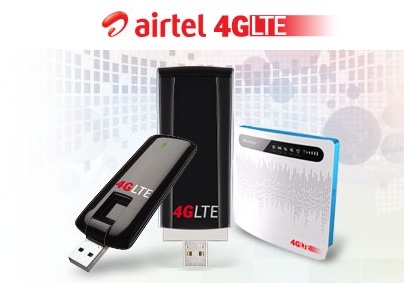 Airtel has launched India’s first 4G service in Kolkata and we have heard rumors of Reliance’s 4G LTE service too. We have no doubt when we say 4G LTE is the future. So, how will it change things for us? Well, 4G LTE will enable much stuff that we haven’t yet been able to do on our 2G/3G connections. See, if you want to stream a blu-ray online or play a game that uses a lot of bandwidth for example, the new version of Call of Duty, forget it. It will take forever and rack up your bill to the sky if you are on a limited connection. 4G LTE is the answer to heavy downloads, video streaming and game-playing. But the thing is and this is the most important thing – its not really worth it right now. Let’s put Airtel’s version under the scanner (since it is the one available now). So the thing is you have to invest in a base system. Their indoor CPE with Wi-Fi costs Rs. 7750, while the 4G dongle costs even more – Rs. 7999, which is kind of unrealistic in comparison to 2G/3G data cards. But still let’s say you went bonkers and invested in it. Moving on to tariffs – Rs. 999 for 6 GB, Rs. 1399 for 9 GB and Rs. 1999 for 18 GB and the speed dials down when you shift from free usage. We haven’t even included the tax as yet (in case of postpaid). The tariffs are a bit expensive compared to many connections but the difference is not much since you would be getting better speeds. But the thing is really 6, 9 or 18 GB is going to wipe out like anything when we are downloading stuff at 100 Mbps or even the present speed of 40 MBps, isn’t it? I mean after the speed dials down, you are going to be pretty much be kicking yourself for investing in it. Yes, it is good, it is fast too, but it is too expensive. We just think we need to be offered more bandwidth, more freedom if we will ever really switch on to 4G LTE, otherwise we would advise you to stick with your present 3G connection until you can receive real value-for-money offers.